Slowly but surely I have been learning to make my own cleaners so… I will be filling my DIY category with everything I’ve tried that has worked and sharing it with you . My first entry will be Laundry Detergent, so here goes. I LOVE this laundry detergent! It’s simple to make and has cleaned EVERY stain that my two boys can challenge me with. Red wine stains, grape juice stains, grass stains, you name it…this detergent has cleaned it. Since you use only about a Tablespoon per load, it last a very long time. With six people living in the house you can just imagine how much laundry I do every day. This detergent last me at least 4 to 5 months and my kids change clothes a LOT. All the ingredients together cost less than $20. I used to buy the large size of Tide or Gain at Sam’s club for about $25 and it only lasted me a month. So many fillers are added to commercial laundry soaps requiring you to use more detergent to get things clean. This stuff has NO FILLERS, it’s very concentrated and you use 1 to 1 1/2 Tablespoons per large load, I promise. I’m not kidding. YES it gets my clothes clean. Much cleaner than the store bought brands! I put a white table cloth stained with red wine in my washer with about 3/4 Tablespoon of this detergent and it came out without scrubbing or spraying with a stain remover. I have removed similiar stains from my kids clothing and they have ALL come out. I remember reading that this particular concoction was safe for front loading washing machines but since I don’t have one I can’t guarantee it. The website that I got this recipe from (which no longer exists or I would give her credit for this post) said that it was. All of the ingredients needed for this soap can be easily found at Walmart or your local grocery store. Look in the detergent section. It’s all there. I found a pretty Glass container at Walmart for about $10. 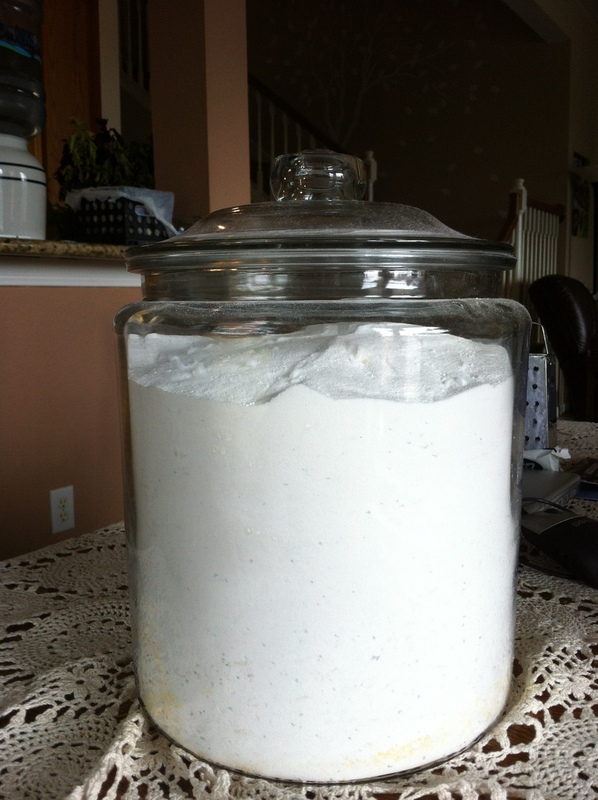 You will need something like a 4 to 5 Gallon container of some kind to store your detergent in. If you feel that you have an extra stubborn stain and just don’t feel right about using this detergent only, add a little extra Borax to the load. I can all but guarantee the stain will come out. Oh, and one more thing! Don’t be alarmed when you don’t see a lot of suds. The suds are that filler part I was telling you about. You WILL NOT see a lot of suds, but it IS cleaning your clothes, I can assure you. After you have all of your ingredients, get a clean, empty kitchen sized garbage can, line it with a heavy duty garbage bag and dump all of your ingredients in. I take the garbage bag out and then roll it around on the floor to mix it. Kind of like a VERY large shake n bake bag. Then dump it in your container, store it in your laundry room and let the fun begin! 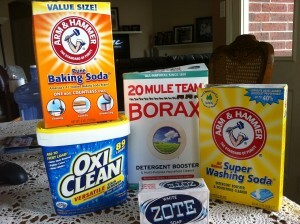 I would love to hear from you if you try this detergent! Please let me know what you think! The BEST Jalapeño Corn Bread Ever! I found a basic Corn Bread recipe, dressed it up and this is what I came up with. It is SO very good. The whole Kernel corn makes it extra good. Hope you enjoy! Preheat oven to 425F. Generously grease a large cast iron skillet. Place the skillet in the oven while it is preheating to get the grease sizzling hot. Sift flour, baking powder, salt and sugar into a large bowl. With a fork, blend in the cornmeal. Add remaining ingredients to the bowl. Stir just until all ingredients are moist. DO NOT over mix. Pour batter into the hot greased skillet. Bake in oven until top springs back when pressed with finger, about 20 minutes. Slice, add butter and serve. You are currently viewing the archives for November, 2012 at Michelle Conaway.